THE Richardson family has not seen their family jack russell dogs of seven years for almost a month. 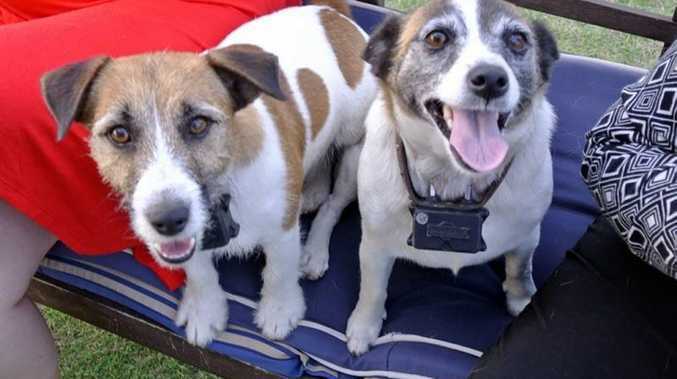 On December 12 when mum, Sonya, took Roxy, Jacko and their pound dog Blue for their usual walk through the bush near the Clinton water tower, the two Jack Russells ran off and never came back. Ms Richardson usually lets the dogs off their leads to let them run, but says they've always returned. "I took a phone call and usually I'm always watching them and they're just in front of me. I'd say something took their attention and they ran off. "Usually I can whistle and they'll come back." Ms Richardson fears someone has taken her purebred dogs. "They are beautiful dogs and really friendly, happy and well behaved." And while they have escaped before, they have always either returned or been picked up by the council. Now she is pleading for anyone to share information on the whereabouts of her dogs. She has posted on every pet Facebook page and hung signs across the region with their photos, but heard nothing. "If anyone has seen them or knows where they are ... at the end of the day the biggest thing for us is to know whether or not they're ok.
"Let's say someone has taken them and didn't want to give them up, if they want to tell me annonymously then that would be great at least," she said.